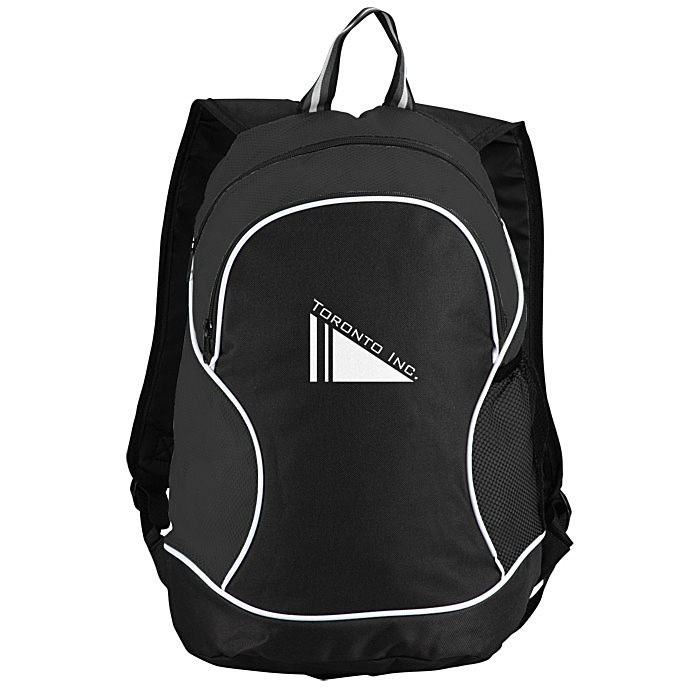 Sleek design adds a sporty feel while combining functionality and style all with 24 hour delivery time! 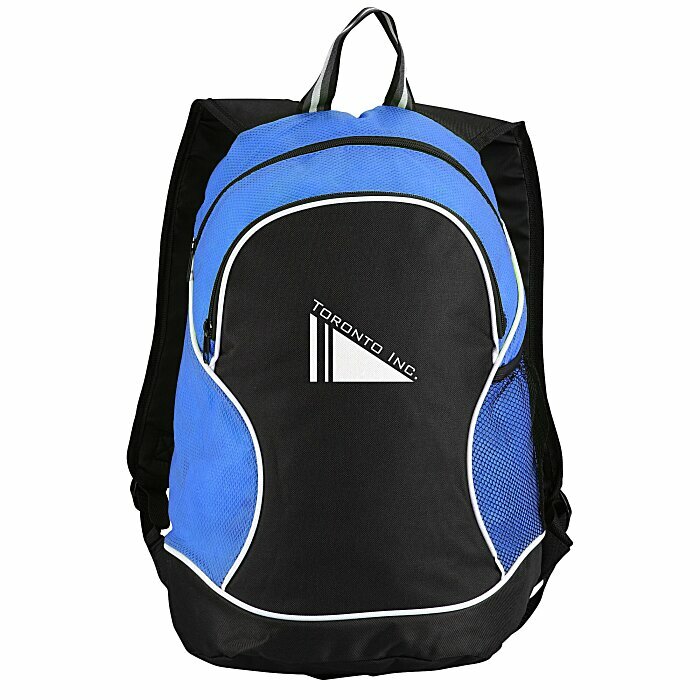 This 600-denier black polyester bag is accented by an eye-catching diamond pattern on the non-woven polypropylene trim. 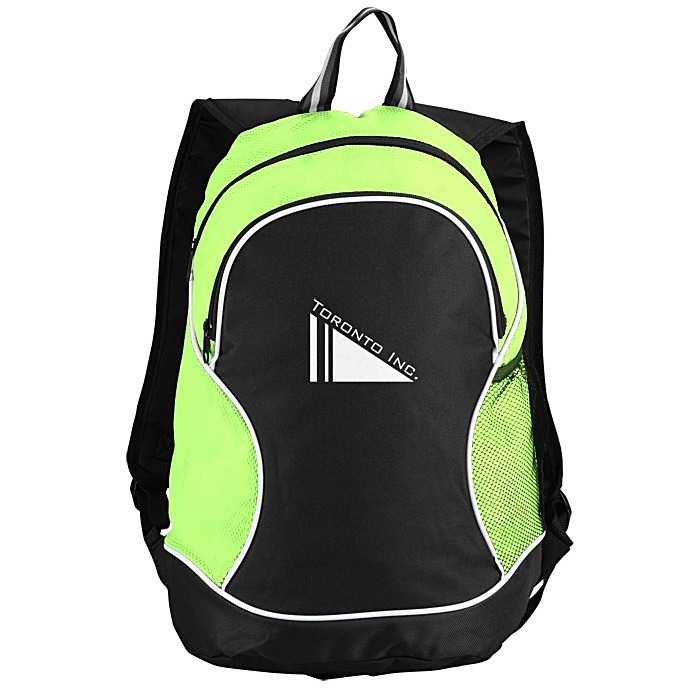 Backpack features a fully padded back with padded adjustable shoulder straps and carry handle on top. Front zippered compartment opens into an organizer for holding office supplies including pens, business cards, calculators and more. Size: 406 x 279 x 177mm (16” x 11” x 7”). 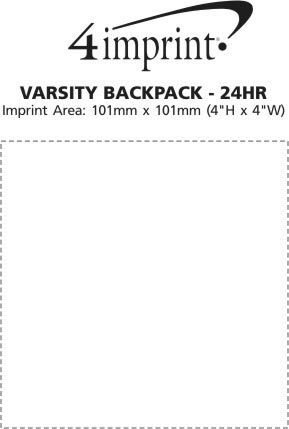 Your price includes a one colour imprint on the front pocket.